Marquee Uptown’s unique blend of vintage and chic will make you proud to call us home. 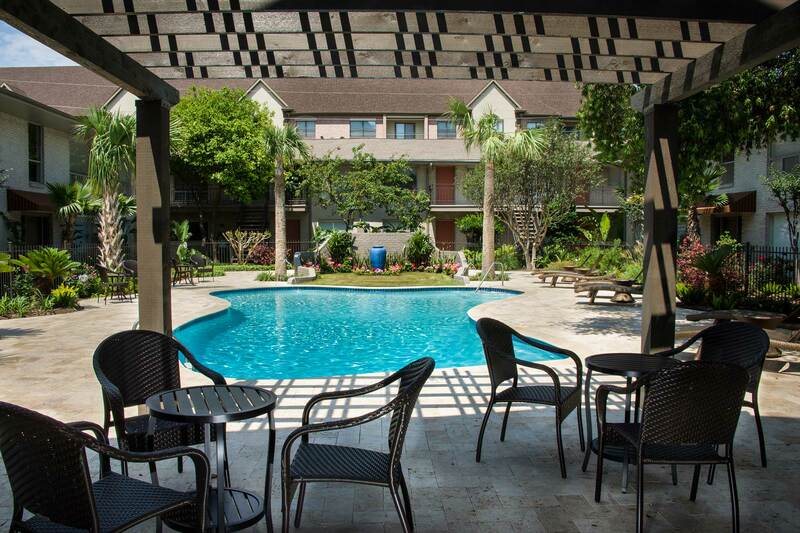 Our ideal uptown Houston location – within walking distance of trendy shops and restaurants – and our spectacular luxury apartments with granite countertops in the kitchens and baths will inspire you. Marquee Uptown provides two swimming pools – a saltwater pool and a freshwater pool. The resort-style feel is enhanced with a poolside cabana and a marble tanning deck. Relax at our Zen-inspired fountains and lushly landscaped courtyards, cook out on our gas grill, and enjoy the on-site concierge service. concierge service.